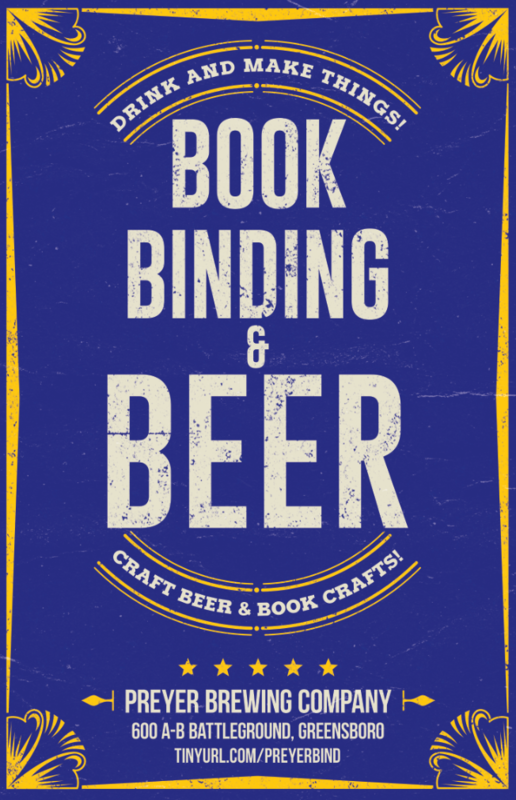 Come on out to Preyer Brewing to enjoy some of Greensboro’s finest beer while learning to make coptic bindings! Coptic bindings date from the second century and are considered one of the first codex style bindings, and they utilize a multiple loop stitch to bind page sections to a front and back cover. We will be focusing on a method with exposed sewing, which makes for a striking look. Registration for the workshop is $35, with all materials and tool use included. To attend, please fill out the form below and submit payment via the included link. Space is limited, so be sure to sign up early! Please pay the registration fee via this PayPal link.